Shack’s Michael Head plays to a capacity Kazimier crowd, Getintothis’ Jamie Bowman revels in continuing resurrection of a Mersey music icon. As the clock ticks beyond ten o’clock the ugly rumours start to circulate. ‘Do you think he’s alright? Is he coming on?‘ Unfair perhaps, but when you’re dealing with the career of Michael Head, he has, shall we say, got ‘form’. Whether it’s recording studios burning down, master tapes being mislaid in US rental cars or decades of drug and alcohol problems, Head’s 30-year career has been bedevilled with misfortune, sadness and broken dreams. But isn’t that part of the reason why we’re all here? Would this beaten up, lovable rogue of a singer songwriter have the same appeal, if as predicted, 1999’s imperious HMS Fable album had propelled him to post-Britpop fame and fortune? It’s a question which lays heavy in the air of a packed Kazimier with the possibility at the back of every member of the 450 capacity crowd’s minds that we might be about to watch a train wreck. Thankfully within seconds of him bounding down the venue’s steep staircase onto the stage, our fears are assuaged. 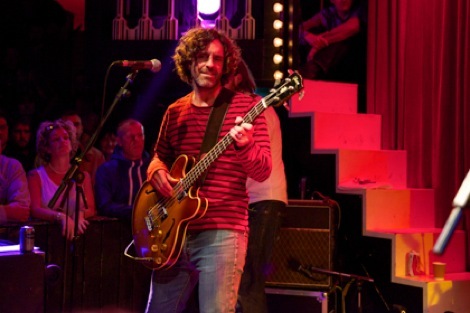 Mick looks well, if staggeringly nervous, but with support from loyal bassist Pete Wilkinson and a few deep breaths, he finds his voice and we’re off on a 90 minute roller coaster journey which might just be the best gig Getintothis has witnessed all year. Sound-wise, Mick has reverted back to the jazzy, pastoral feel that characterised the music of his first band the Pale Fountains and his 1997 classic The Magical World of the Strands. The mariachi’s horns (led by a beaming Martin Smith) are back and pushed forward in the mix as the band faithfully recreate a wonderful melange of the Byrds, Love and Simon and Garfunkel. At times Mick’s songs are painfully honest and it’s as if we’re eavesdropping on a private therapy. It’s noticeable how much of his new material goes back to doing what he does best: chronicling a dreamlike journey across a Liverpool that is far removed from the polished regeneration we know today. One tune has him wandering down Bold Street, another one titled Newby Street takes its name from a small Walton back water. New Jersey has Springsteen, London has Joe Strummer. 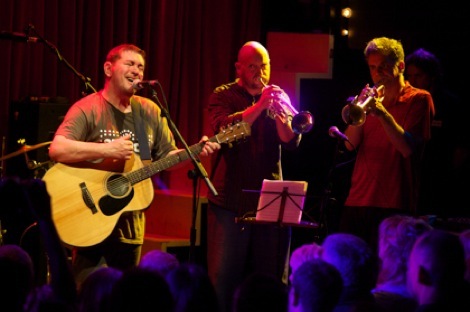 Why shouldn’t Liverpool have Mick Head? The band exit stage right, leaving Mick to perform a shaky but passionate solo spot, all the while willed on by a crowd so partisan they should be wearing scarves. There’s plenty to keep them happy with Shack classics like Al’s Vacation, Undecided, Flannery and a stunning Meant To Be inspiring passionate sing-a-longs. 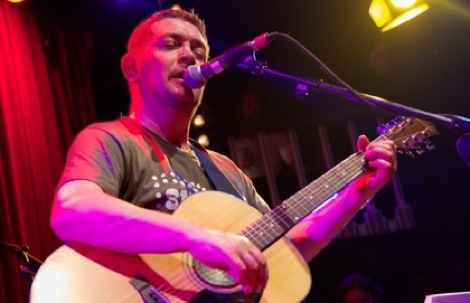 There’s a few false starts, plenty of mad cap between song banter and even a spontaneous version of Elvis Presley‘s You Were Always On My Mind but if there’s one person who deserves our indulgence it’s Mick Head. A thrilling run through of Love‘s Maybe The People Would Be The Times Or Between Clark and Hilldale and another exultant reading of Meant To Be, finishes a concert which felt like a resurrection worthy of the name. Welcome back Mick. 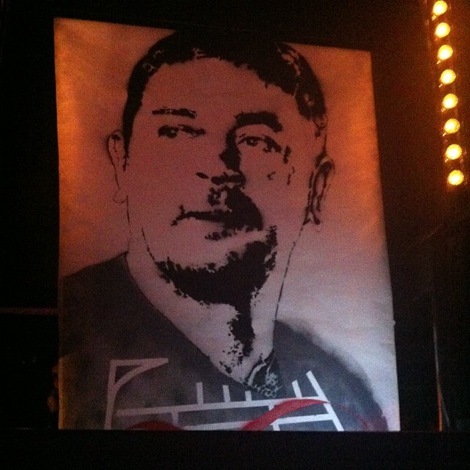 Pictures by Getintothis’ John Johnson except mural by Ben Winterburn. 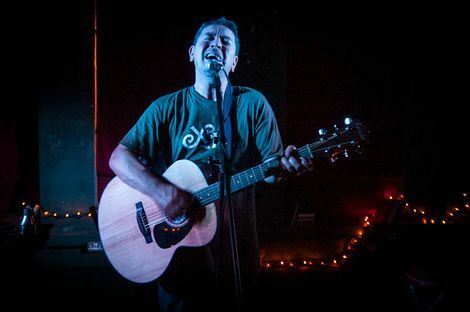 Mick Head and The Red Elastic Band announce Kazimier date.